From Western Australia, this 2.8 Gram (43.2 Grains) Natural Australian Gold Nugget has a gorgeous color, smooth texture, and a very interesting shape. 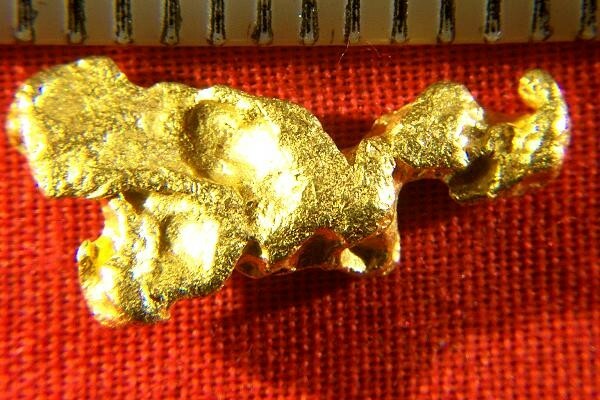 It is a truly beautiful Australian gold nugget and measures 3/4" (20 mm) long. 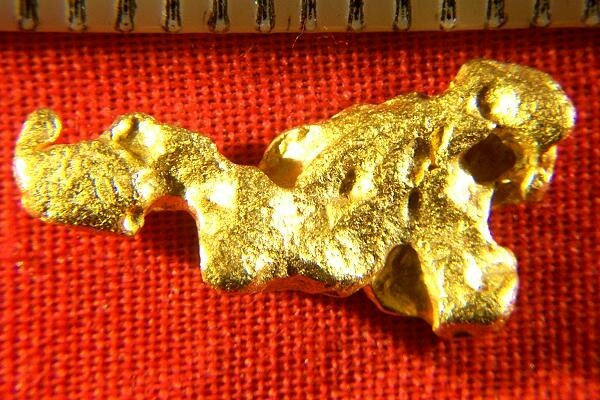 It is nice and clean and is a jewelry/investment grade natural gold nugget. Gold nuggets from Australia are highly prized by jewelers, collectors and investors because of the high purity (22KT to 23KT = 92% to 98% pure gold) and their gorgeous color. 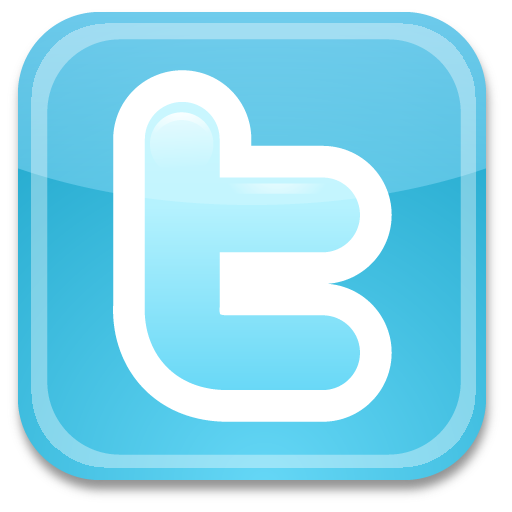 This nugget has a delightful shape and is a real beauty.